Maximise the return on your next property sale with Hilary Lazarus Real Estate and Rentpro. In order to help our clients to achieve excellent sales results, we assist home owners in styling up their properties before sales inspections. Simple and elegant changes by our experienced stylists can completely transform your home and your sales results. When prospective buyers step right into their dream lifestyle, the selling process is typically much quicker, smoother and more profitable for the seller. Rentpro Property Styling team offers a wealth of experience in flexible and tailor-made property styling and home renovations. We assist in all aspects of styling and renovation projects, from project conception, all stages of renovations, including project management, product sourcing, through to styling final touches. Having teamed up with industry trades and businesses, a superior standard of quality and integrity is ensured in every step. 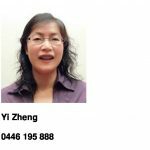 Yvonne specialises in assisting the Chinese community within Pymble, Turramurra, Warrawee, Wahroonga and St Ives, buying and selling their properties for investment and home. Originally from China, Yvonne always has a passion for real estate. She is determined and continues her property industry career in Sydney. Armed with many years of experience in the Sydney and China market, Yvonne has a solid client’s database for Sydney and China. Yvonne prides herself on her professionalism, efficiency and her willing and helpful attitude. She invests much time and energy within the Chinese community. Enjoying a strong understanding of the unique needs of the Chinese families both sellers and buyers. Yvonne lives locally in Wahroonga has strong ties to the area.